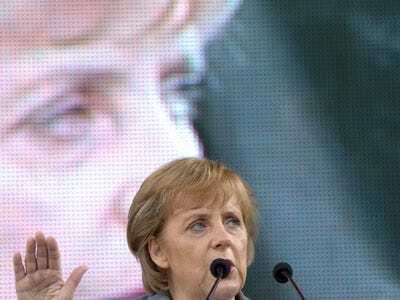 Did Germany Just Reveal How It's Bailing Out Greece? The German government said Thursday it is considering guaranteeing credit portfolios of private banks in order to create more leeway for banks to hand out business loans. “In order to avoid potential grave shortages in business financing the federal government ponders portfolio guarantees at risk-adequate prices to revive the granting of loans,” it said in a joint declaration with the country’s leading banking and business associations. The measures would be targeted especially to assure credit supply for medium-sized businesses. So yes, technically this isn’t specifically about Greek debt, but so what? Money is fungible. You put money somewhere, and it frees money up for somewhere else.